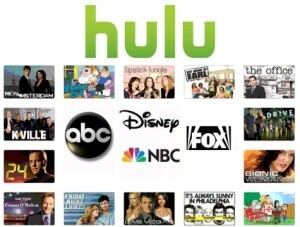 Walt Disney Co. CEO Bob Iger this week said he is “very excited” about the user interface Hulu has designed for its planned virtual-pay-TV service launching next year. He also used the opportunity to take a swipe at traditional pay-TV operators for the lack of innovation in their UIs over the years. “I’ve been frustrated over the years by the UI” of cable and satellite TV services Iger said. “Maybe because I’m getting older I don’t have the patience anymore, but we’re all getting more and more spoiled by what technology makes possible,” in terms of surfacing, discovering and accessing content. According to Iger, consumers raised on digital platforms today simply won’t tolerate any glitches or difficulty in access the content they want when they want it, and the traditional pay-TV industry simply hasn’t kept up with the times. “The legacy cable box and cable platform, was not prepared technologically, and maybe not prepared culturally, to deal with the demands that consumers are making today,” in terms of the user experience, he said. Improving that experience, Iger added, “is one factor that will keep the bundle together,” and he welcomed the pressure that new entrants like Hulu will put on legacy providers to up their game. Odd, then, that Disney, along with its fellow programmers, has been among the most vocal in arguing, in effect, for preservation of the legacy pay-TV UI in the FCC’s set-top box proceeding. Arm’s length agreements between MVPDs and programmers provide the necessary licenses to transmit the content, and in exchange the MVPDs agree to a range of license terms, including security requirements, advertising rules, EPG channel placement obligations, and tier placement requirements. These terms are material to the grant of the copyright license, and to copyright holders’ ability to direct the exploitation of their works in a manner that enables them to continue to invest in the high-quality programming that viewers expect. By contrast, the proposed order mandates that MVPDs transmit to third-party providers of set-top boxes and other navigation devices three “flows” or “streams” of information— including all the content the MVPDs license from copyright holders—and it permits third parties to manipulate all of this content as inputs to their own services without seeking the permission of the copyright holders or compensating them. Because the FCC defines “navigation device” to include not only hardware, but also software, this “grant” of rights also extends to providers of Internet applications and web-based services. The only terms the proposal would explicitly recognize are copy, output, and streaming limitations. Extensively negotiated terms on matters including “service presentation (such as agreed-upon channel lineups and neighborhoods), replac[ing] or alter[ing] advertising, or improperly manipulat[ing] content,” are all left unaddressed by the FCC’s proposal. Content producers are intimately involved in the meticulous details of how a viewer sees programming content. For example, a network’s adjacencies in a programming lineup can be the result of careful and unique agreements between distributors and content creators. The Coalition Proposal would allow an “end run” around such careful deliberations. It could leave channel placement and other elements of content presentation exclusively in the hands of those with far less incentive to ensure a high level of quality or consistency in content presentation, in turn undermining the value of the content itself. As I’ve argued here before, issues like channel placement and adjacencies are only really relevant in the context of the traditional, grid-like programming guide. And if they’re as critical as Disney and the MPAA insist to the networks’ business model, it’s hard to square that with Iger’s professed enthusiasm for innovative UIs that meet the expectations of today’s viewers, which certainly do not include scrolling through a grid of adjacent channels. In fairness, Disney is hardly alone in that seeming contradiction; all of its peers hold to the same paradoxical line. What they want, ultimately, is innovation under their control, and on their own terms. But that’s not how innovation usually happens.